The company last week quietly patched vulnerabilities in the WPA2 protocol used to secure wireless networks, but did not reveal the fix until today. Microsoft today revealed that it quietly patched Windows last week against vulnerabilities in the Wi-Fi Protected Access II (WPA2) protocol used to secure wireless networks. Details of the security update were only published Monday to Microsoft's Security Update Guide, the catalog-like portal that earlier this year replaced the decades-old practice of delivering explanatory bulletins. All supported versions of Windows received the update, according to the catalog listing, including Windows 7, Windows 8.1, Windows 10, Windows Server 2008, Windows Server 2012 and Windows Server 2016. The vulnerabilities were revealed today by Mathy Vanhoef, a researcher at Katholieke Universiteit Leuven in Belgium. On a website that went live Monday, Vanhoef said that weaknesses in WPA2 allowed criminals to read information transmitted over a Wi-Fi network thought to be encrypted by the protocol. "Attackers can use this novel attack technique to read information that was previously assumed to be safely encrypted," Vanhoef wrote on the site. "This can be abused to steal sensitive information such as credit card numbers, passwords, chat messages, emails, photos, and so on." Microsoft included the anti-Krack update in its October security slate released on Oct. 10, but the company held the news until today because information about Krack was scheduled to be issued this morning by Vanhoef, numerous security organizations and multiple vendors. "In partnership with the International Consortium for Advancement of Cybersecurity on the Internet (ICASI), Microsoft participated in a multi-vendor coordinated disclosure to acknowledge and describe several Wi-Fi Protected Access (WPA) vulnerabilities," Microsoft said in its update description. 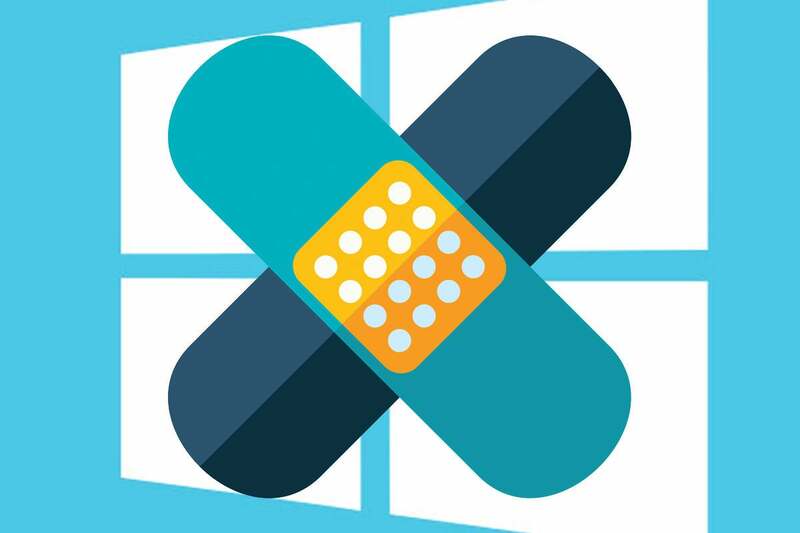 The Windows security updates patched the client and server flavors of Microsoft's OS, but even then, users may be at risk, the firm warned. "When affected Windows-based systems enter a connected standby mode in low-power situations, the vulnerable functionality may be offloaded to installed Wi-Fi hardware," Microsoft said. "To fully address potential vulnerabilities, you are also encouraged to contact your Wi-Fi hardware vendor to obtain updated device drivers." Windows PCs with Automatic Updates enabled have probably received the patches by this point. Managed devices must get the green light from IT personnel, as usual.